Japan’s photovoltaic (PV) market is the fastest developing market in 2013, attracting many Chinese and foreign PV manufacturers to enter the country’s market. Shipments to Japan have shown linear growth this year. Phono Solar who has also entered Japan market, has developed unique strategies that correlate to different market development stages. 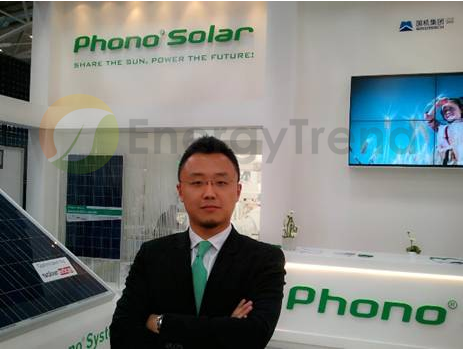 Phono Solar’s Marketing Manager Eric Yuan recently spoke to EnergyTrend about the company’s latest developments. Phono Solar is a subsidiary of Sumec Group Corporation, a large export company that has topped Jiangsu Province’s export list for consecutive years. Phono Solar initially launched a special trade model of using “polysilicon in exchange for modules” or “silicon wafers in exchange for modules.” Later on, the company became a module manufacturer. Starting from 2012, Phono Solar has raised its position to become a “three-in-one” high technology company—a key supplier of new energy systems’ key components, system integrator, solar power plant investor and operational administrator. The company implements distinctive strategies since the solar energy industry is at different stages of development. In a mature market, Phono Solar mostly provides key components for new energy systems. Besides offering PV system modules and inverters, the company also provides small wind turbines and inverters for wind energy systems. To target North America and European markets, the company mostly supplies high price/performance ratio products. While in emerging markets, the company offers a comprehensive solution that integrates design, construction, financing and key components. As for China, Phono Solar has positioned itself as a solar power plant investor and maintenance operator. 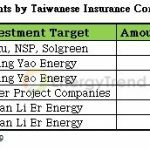 So far the company will be focusing its developments in the China east coast region, and accumulate resources for large solar power plant projects in western regions. Speaking about the Japanese market, the company is focusing on GW solar power plants. Phono Solar acquires market share by selling modules to local large Engineering Procurement and Construction (EPC) manufacturers. Due to limitations of Japanese ground solar power plants and future market developments, Phono Solar has started to cooperate with local distributors to develop a whole new business model. As for emerging markets, Phono Solar completed its first demo project in Indonesia. Working with local partners, the company installed solar modules in Jakarta bus stops. Indonesia’s geography of thousands of islands determines the large demand for microgrid. To provide a country like Indonesia a comprehensive microgrid solution, Phono Solar integrated the group’s power generating machines, PV products, and small wind turbines. The company has a positive outlook for the Southeast Asia market, due to the region’s rigid electricity demands, excellent natural conditions of wind and light, proximity to China, and large numbers and influence of local ethnic-Chinese. The company has begun operations in India, Indonesia, Pakistan, Sri Lanka and Thailand. To increase product efficiency, Phono Solar is hoping to extend into the field of solar cells. The company is currently developing black polysilicon cells, and has officially promoted the products to clients in 1Q. Modules using the black polysilicon cell will be mass produced and on the market by the end of 4Q13 or early 2014. 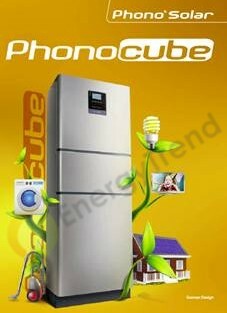 In terms of storage, the company has launched the Phonocube, which integrates both storage and solar inverters to target the German market. The product is mainly aimed at home users, and the power generation for own consumption rate is close to 100%. The product also made an innovative first in adopting the company’s own developed Dynamic Power Tracking (DPT) technology, in which it can provide the highest efficiency and optimized power distribution to German families during each phase of the three-phase power generation. Phono Solar said it estimates to start selling products to meet orders in October. Phono Solar’s development is different from current market strategies as it leverages the group’s advantages. The company would have sunk into price wars if its business strategy was solely focused on module sales. 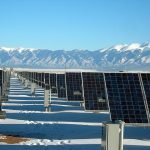 The company has been able to eye new energy integration solutions by using the group’s strengths and combining advantages from new energy products, system engineering, and retail channels. Although the market is still in the early phase, Phono Solar is in a good development position as it grasps market development, and established a large brand and sale channels.